For the next several hours, I followed this thread as a flurry of comments were posted by HMR residents. As the only chaplain residing on HMR, I had no idea that what was unfolding would result in great community ministry. Within an hour, Amber posted a picture of the two individuals wanted by local authorities….”These people are in my house someone call 911….” The two individuals, wanted by police, had jumped the security fence of HMR and entered her residence, seeking shelter. Amber’s call for help did not go unnoticed. Numerous residents following the FB thread immediately dialed 9-1-1 and alerted authorities to Amber’s home. 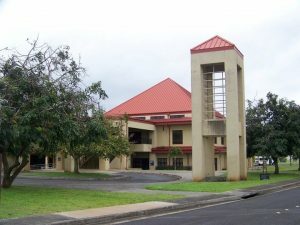 Amber, who is several months pregnant and experienced complications due to stress, was rushed to Tripler hospital by ambulance. At approximately 2300, Alisianna contacted me through FB Private Messenger and stated that there were residents at bus stops and on the streets, and she sent me a picture of those in her garage. Not sure how she knew that I was a chaplain, but word spreads quickly on HMR. By this time, HMR Families near Amber home, had been displaced for approximately five hours. No one thought it would take that long to apprehend the subjects, and considering that it may have been longer still, I posted, “If anyone needs me to open up the chapel, it’s available. Plenty of room, kitchen, bathrooms and shower.” I was unsure who, if any, would come to the chapel, but knew that it could be a sanctuary. Simultaneously, CH (LTC) Niehoff was in contact with me from the 25th Division cell, as the conduit of information and direction. Within minutes, residents began arriving at the chapel in small waves. I directed personnel traffic as quickly as possible – the nursery was used by a family with a special needs child. The Children’s Church rooms were used as sleeping quarters by another family. The chaplain office contained a couch which became a bed for a pregnant lady and husband. The sanctuary became a safe-haven for another 10 residents to chat with each other about the evening’s events. Even the children’s play room became home for a family with two dogs. I opened the pantries in the kitchen and brought out all the food we had to feed the residents. We played the only movie available – Courageous – which was more than appropriate for the situation. Additionally, I found four sleeping mats tucked away in storage! At midnight I caught a break and updated the FB post….”HMR Chapel is open as a relief HQ for displaced families. As of midnight, 25 people and 2 dogs are using the chapel as a community hub. We have coffee, soft drinks, chips, popcorn, and a movie showing (Courageous). Additionally, we have a nursery with diapers, bathrooms, a shower, kitchen, play rooms, sleep rooms and plenty of padded space available. I am on the scene for prayer and support. We are your Ohana and safe-haven, and proud to serve you! Around 0100, the situation was under control and the individuals were apprehended by authorities. Residents were authorized to return to the residents except for three families, whose homes became crime scenes. One of the families used my vehicle to return to their home and retrieve items – they were being placed at Wheeler Army Airfield in temporary housing. In all of this, God could minister to these families in a special way through prayer and calmness that the chapel provided. The aftermath: On Sunday, May 24th, four new families attended chapel services at HMR. 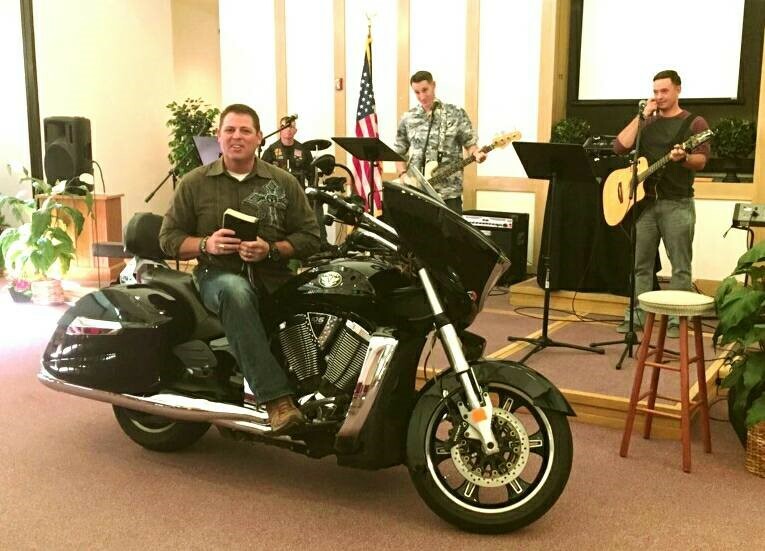 They were the displaced military housing residents who were ministered to three nights prior! One of them was Amber, her daughter, and mother-in-law Shelly. We spoke about the events and collectively prayed for Amber and the family. Additionally, Shelly joined our IMPACT Chapel Prayer Warriors page on FB, and asked for continued prayer and support for the family. Shelly also started a Go-Fund-Me account for the family. 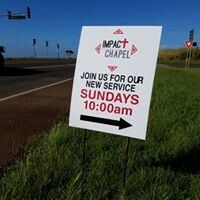 *Notes: IMPACT Chapel at HMR (Helemano Military Reservation) launched 4 June 2017 under Chaplain Hargis’ initiative and leadership. Alternating between chapel and beach locations, many have come to Christ and have been baptized. 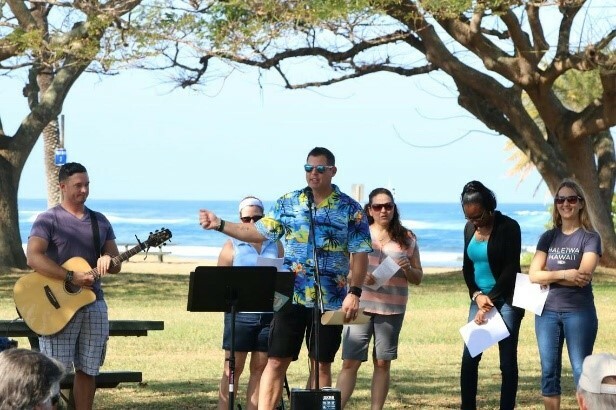 On Easter 2018, they had the largest attended service of 194. It has been an exciting and fruitful period of ministry. God used this “exciting incident” to capture the attention of local military residence and bring even more into God’s Family! Pray for CBAmerica Chaplains around the world, who regularly respond to crisis situations; on the battlefield, in training accidents, operational incidents, individual and family crises. For more stories of ministry response, visit www.cbamerica.org/chaplaincy for the latest postings. For more information on endorsement as a chaplain, contact Andy Meverden, director of chaplaincy, at chapandy@cbamerica.org.